(Truthstream Media) While governments and scientists continue to tell us it’s just wonderful, there is a tremendous amount of apprehension about CERN, as there has been for some time. In looking for the “God particle” and the states of particles believed to occur at the moment of the Big Bang, scientists in Switzerland, and at other facilities around the world, will be tinkering with the very glue of life. This video presents an alternate view of the dark side of this science, and the dangerous intentions it could have, postulating that anti-matter or “dark matter” holds the kind of stuff that demonic spirits and other potentially negative forces from other dimensions are made of, opening the door to instability, “psychological effects on people,” and other side effects that may or may not be reversible. In other words, piercing (and possibly breaking) the veil. Is there a reason the scientific dictatorship spent so many years trying to separate science and spirituality? One of CERN’s original physicists did admit back in February that they have no ****ing idea what they’re doing. 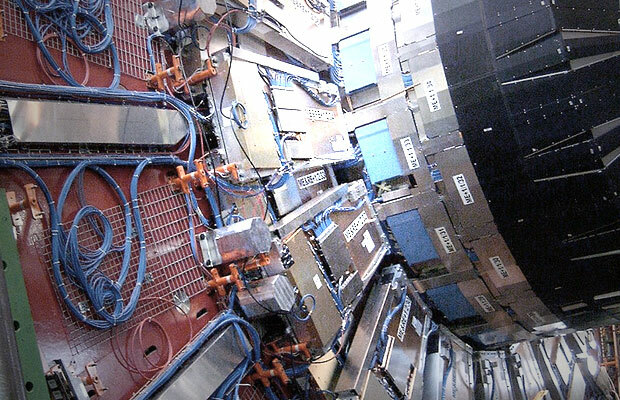 Is the risk of CERN too great to mess with? Please feel free to share your thoughts and concerns on CERN and the issues surrounding it. This entry was posted on August 21, 2015 by Amir Alwani. It was filed under consciousness, news, science, tyranny, videos and was tagged with CERN.